There has been mass movement of people out of communities in Borno State through Damaturu the Yobe State capital to Bauchi, Gombe, Kebbi, Zamfara, Kebbi and Jigawa states. Residents told PUNCH, the Boko Haram insurgents, who attacked some communities in Borno, were targeting soldiers. 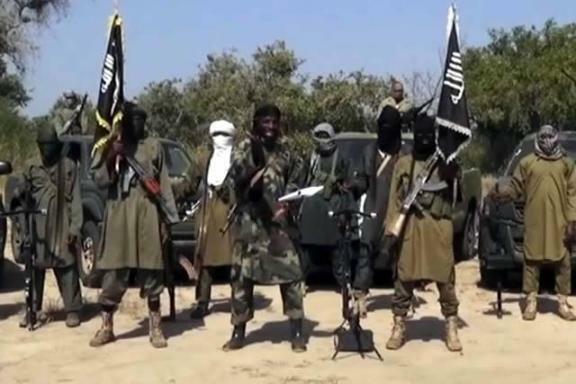 Boko Haram had last week overran Baga, Doron-Baga, Kross Kawwa, Bunduran, Kekeno and Kukawa towns of Borno State after three days of intense fighting. Mallam Bukar Kachalla and Mr. Abacha Musa told one of PUNCH’s correspondents on the phone on Monday that since late Saturday there has been a mass movement of people through Dapchi and Damaturu to other neigbouring states like Jigawa, Kebbi, Bauchi, Zamfara and Gombe. “Baga is a big fishing community and people from other states especially Hausas used to stay there for fishing business, but following the attack on Baga and other towns, hundreds of people have been fleeing the area. “One of those who fled, Mallam Isa Haruna said the Boko Haram fighters who invaded Baga were friendly and even prayed in the mosque together. Abacha noted that those fleeing the towns in Borno under Boko Haram control have lamented the hardship facing them as they have to trek miles before getting vehicles to Damaturu. On his part, Mallam Bukar Kachalla who wondered why Boko Harm usually becomes fierce towards elections said dozens of people have been fleeing Borno since Saturday. He called on the international community to help dislodge Boko Haram from the northeast for the peace and security of the region.